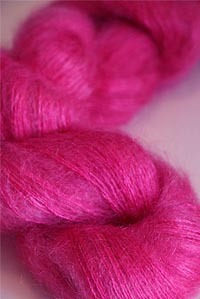 Artyarns Silk Mohair yarn... a whopping 312 yards of 70% Silk + 30% ultra soft super kid mohair. 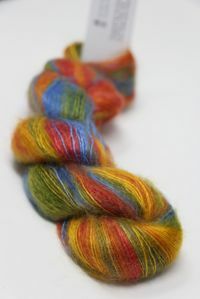 Tons of yardage, incredible array of colors, and a better blend of better fibers. 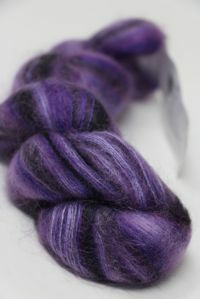 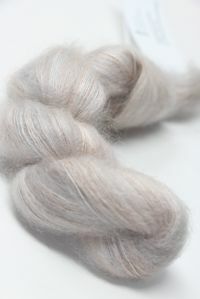 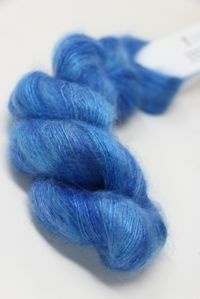 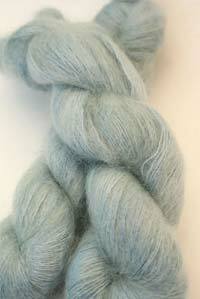 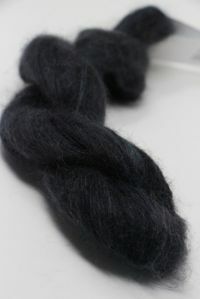 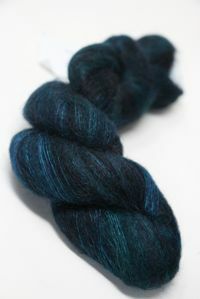 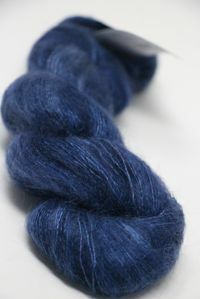 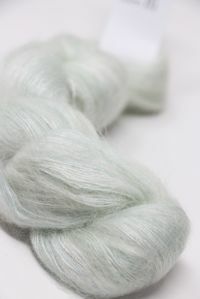 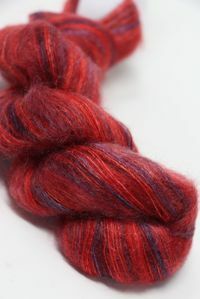 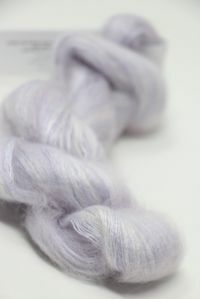 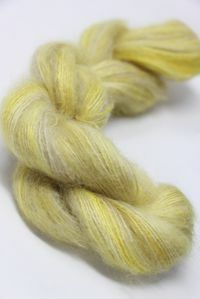 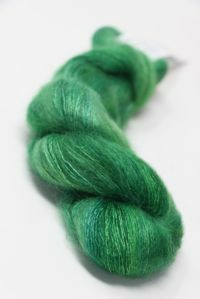 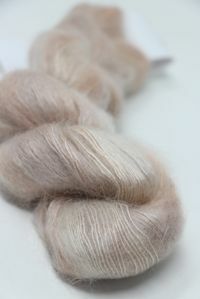 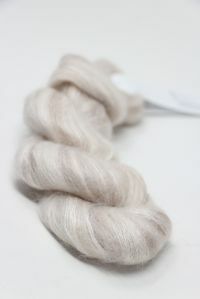 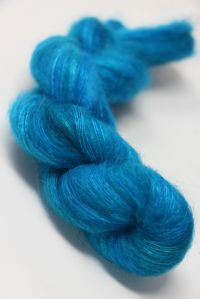 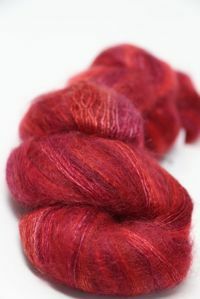 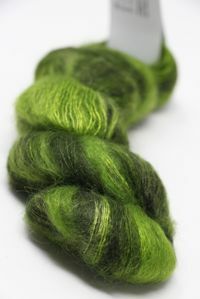 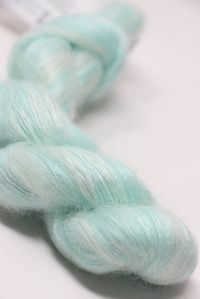 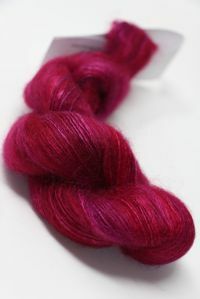 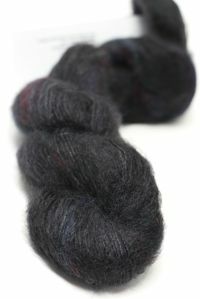 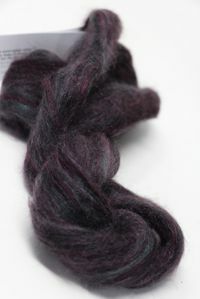 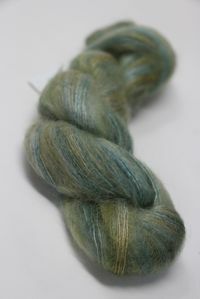 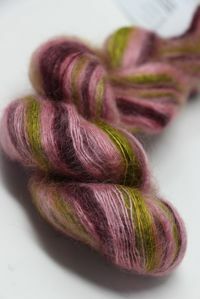 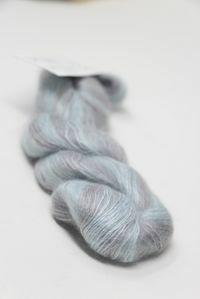 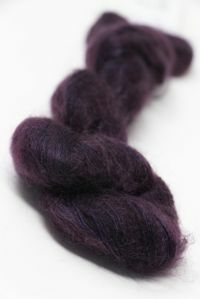 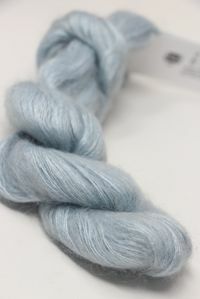 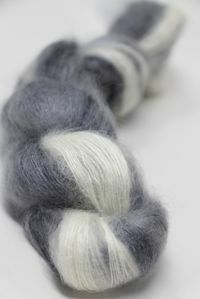 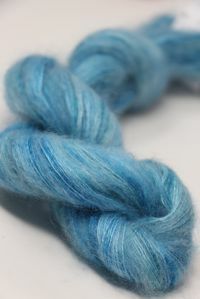 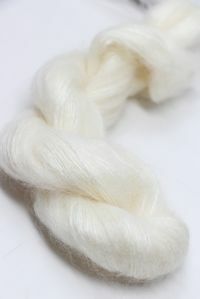 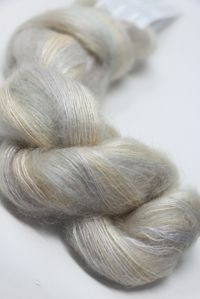 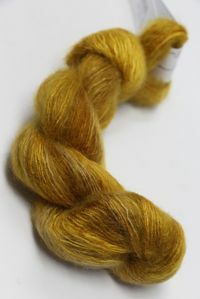 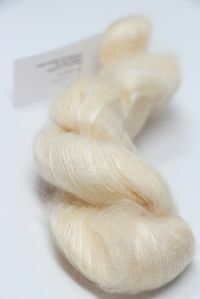 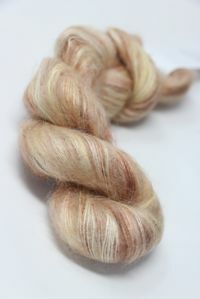 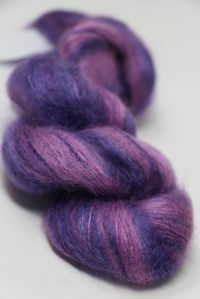 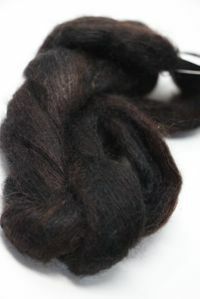 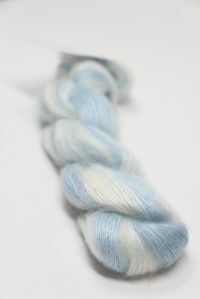 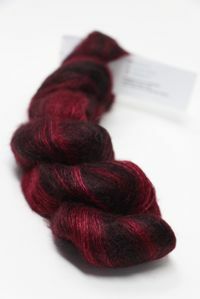 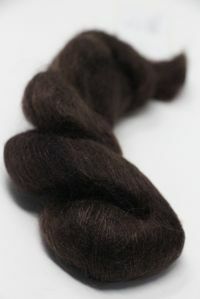 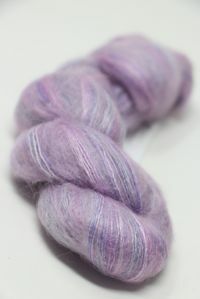 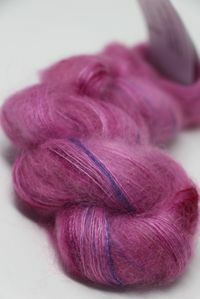 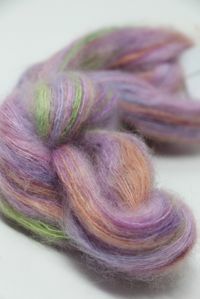 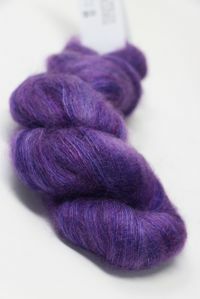 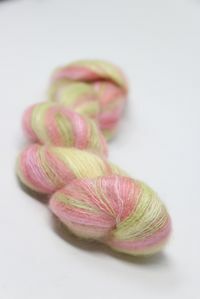 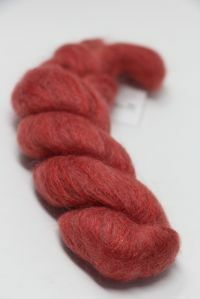 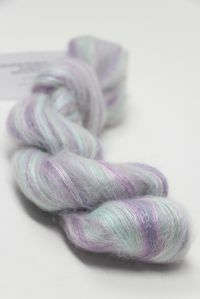 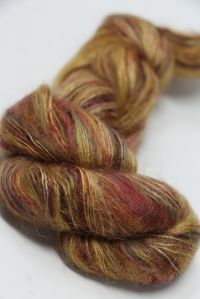 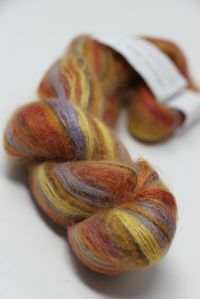 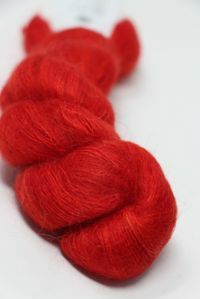 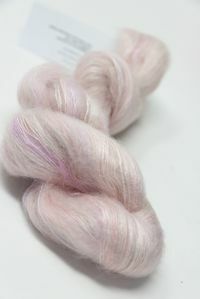 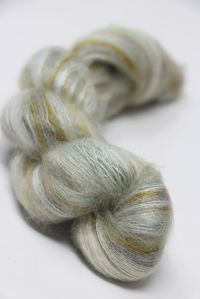 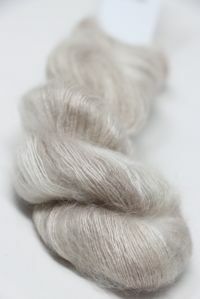 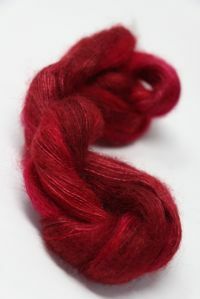 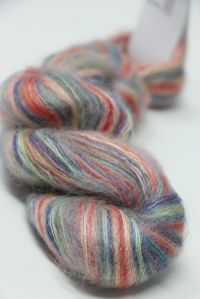 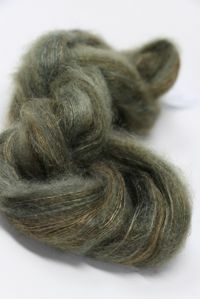 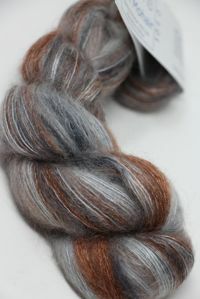 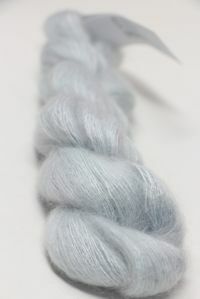 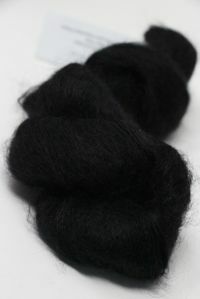 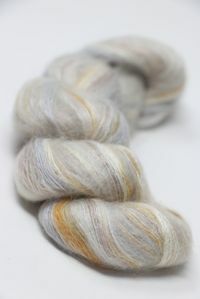 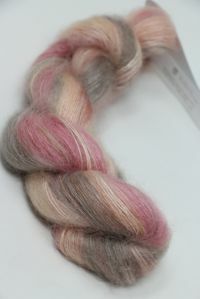 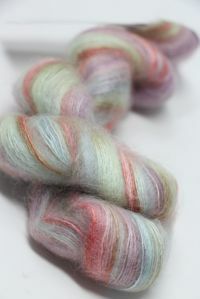 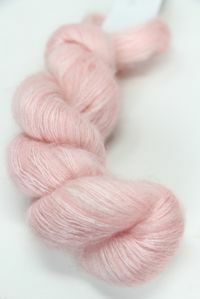 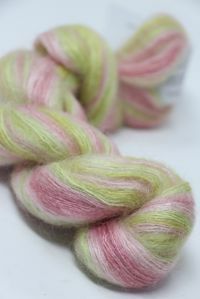 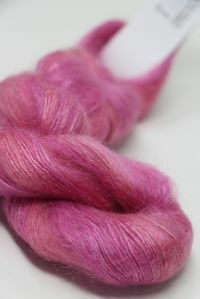 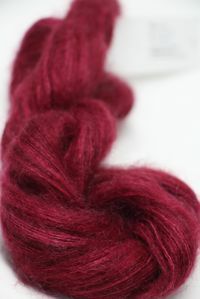 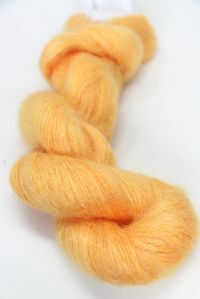 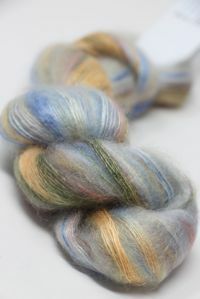 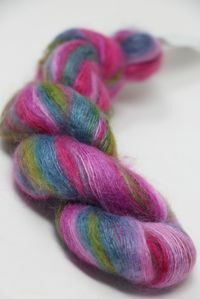 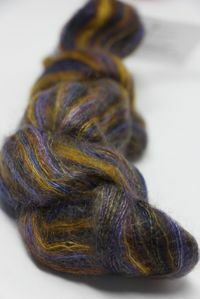 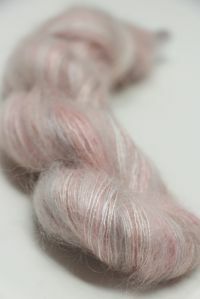 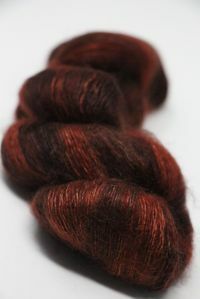 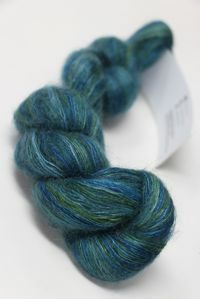 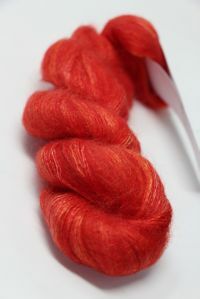 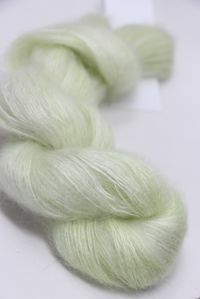 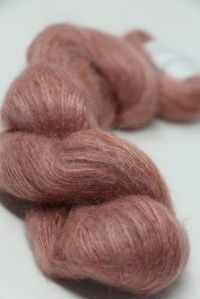 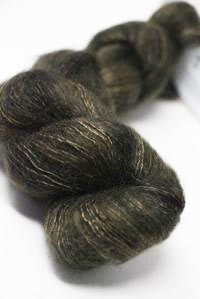 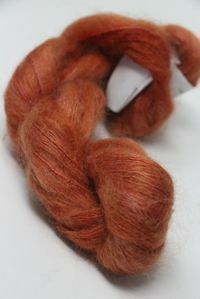 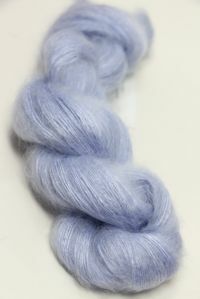 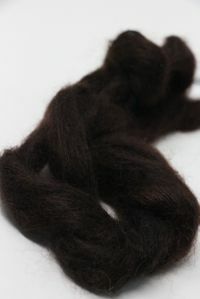 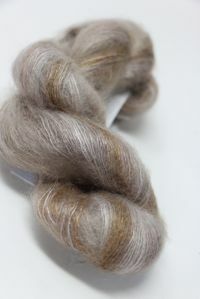 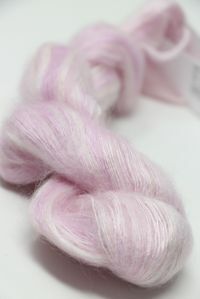 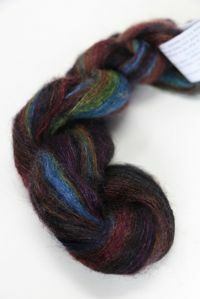 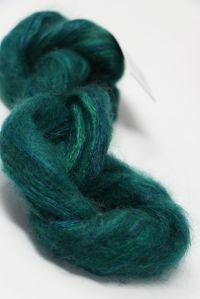 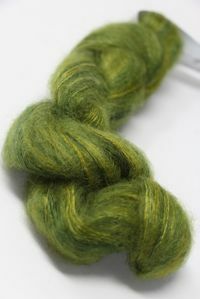 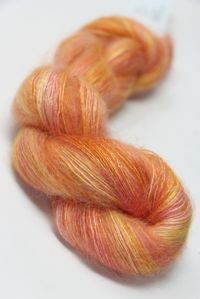 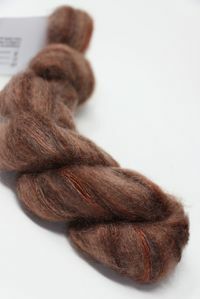 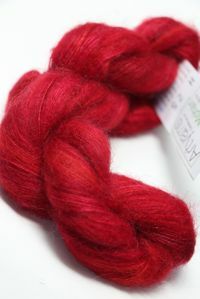 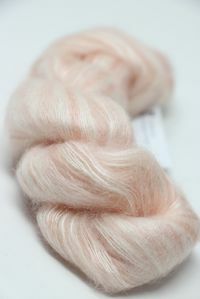 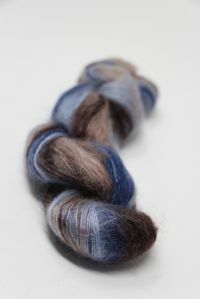 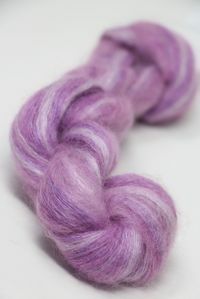 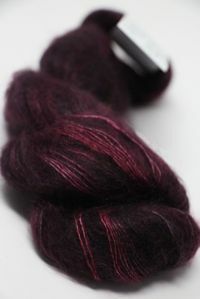 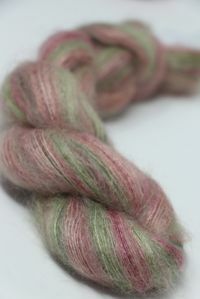 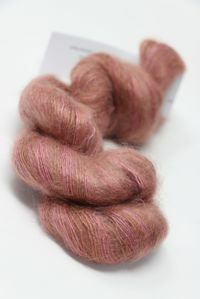 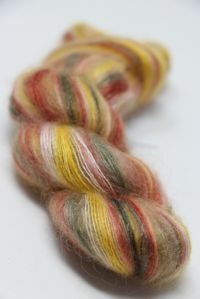 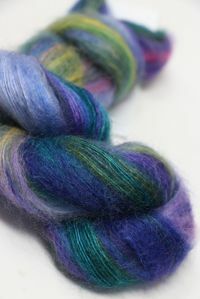 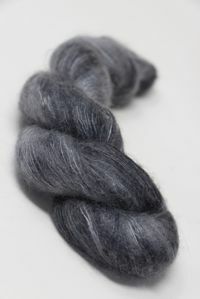 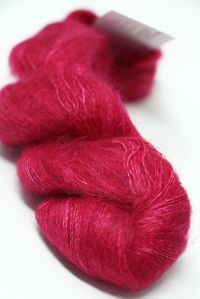 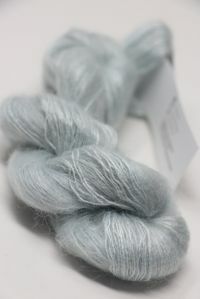 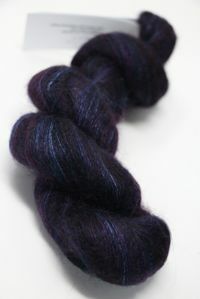 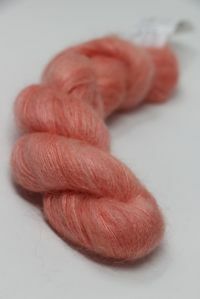 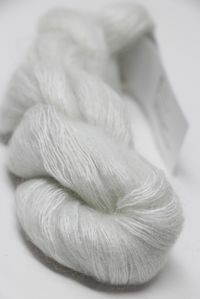 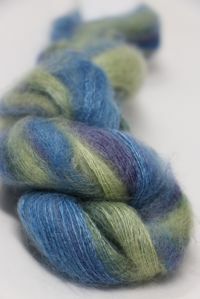 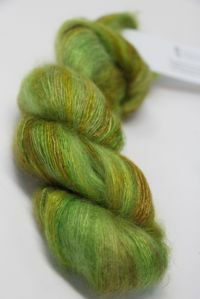 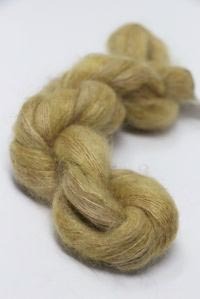 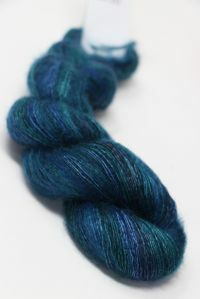 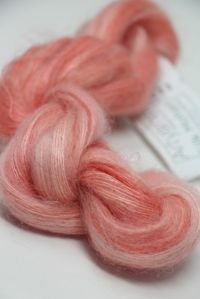 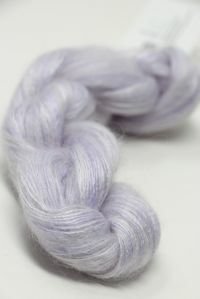 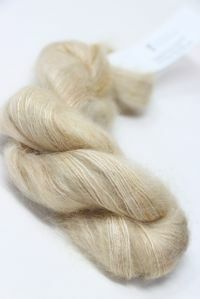 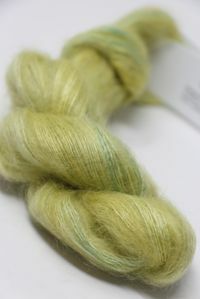 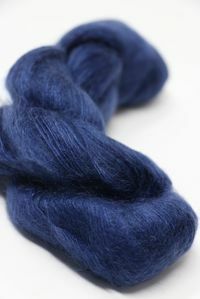 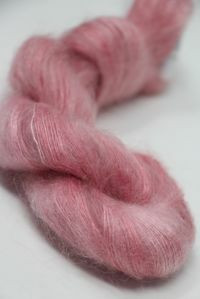 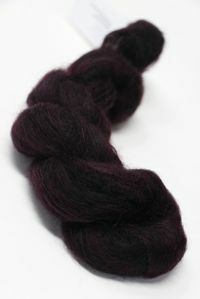 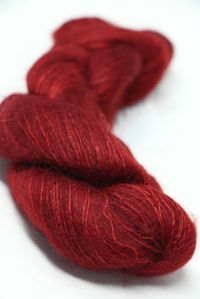 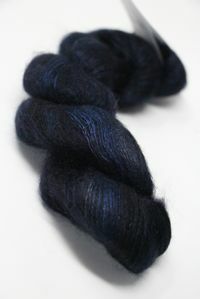 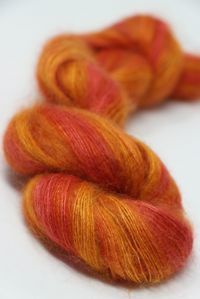 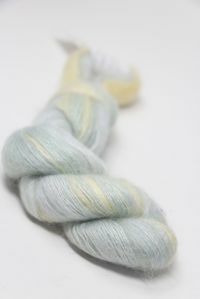 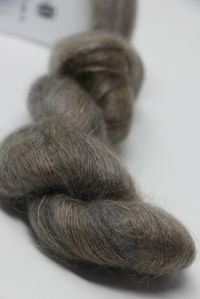 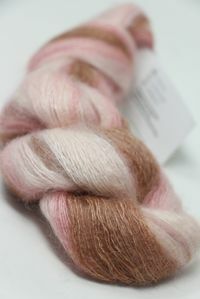 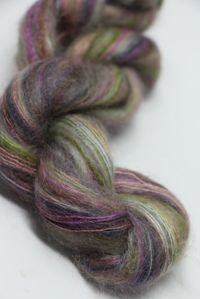 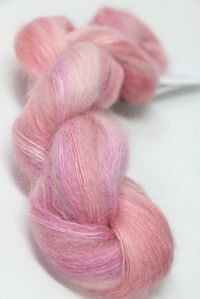 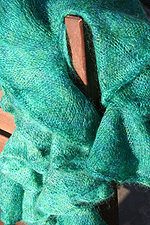 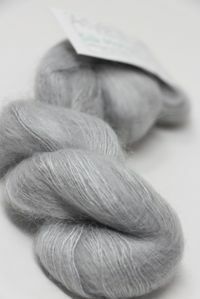 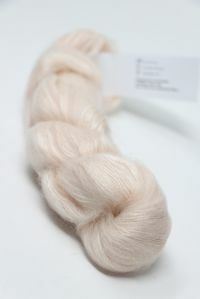 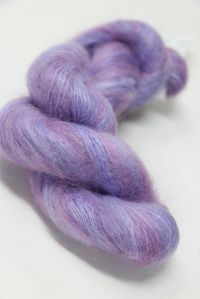 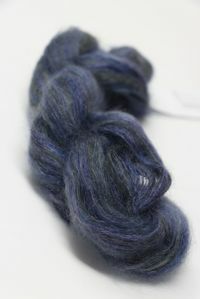 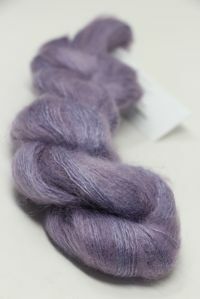 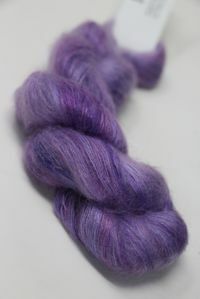 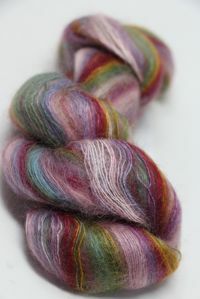 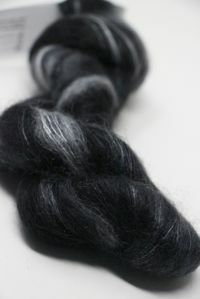 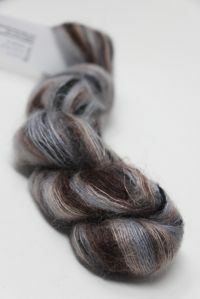 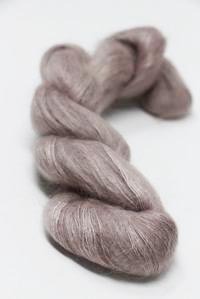 Yes, there is a quality difference --Artyarns uses top-tier silk AND kid mohair. 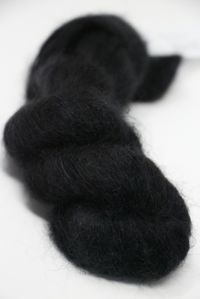 No scratchiness and NO synthetic additives. 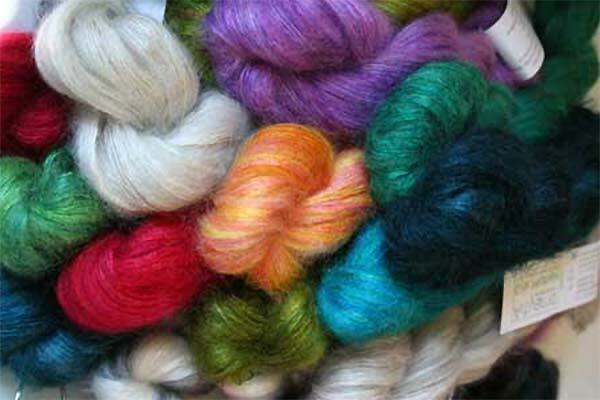 They are ALL handpainted, put together at Artyarns with exquisite attention to detail and handpainted in their studios, yes, even the solids. 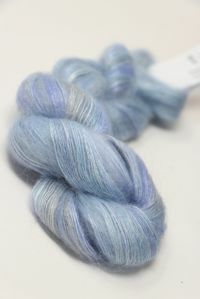 An exquisite and wonderful yarn. 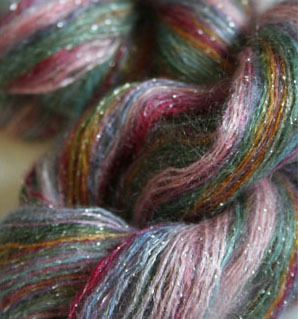 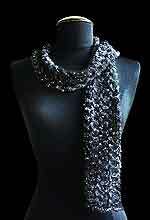 From Iris Schreier, designer and founder of Artyarns. 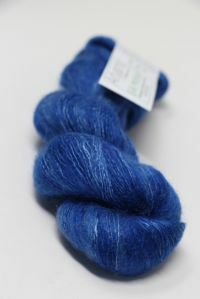 "I couldn’t find the yarns I wanted to knit with so I created them myself!"